A foreigner has made sure he honoured the tradition of his spouse as they both get married in a traditional setting recently. 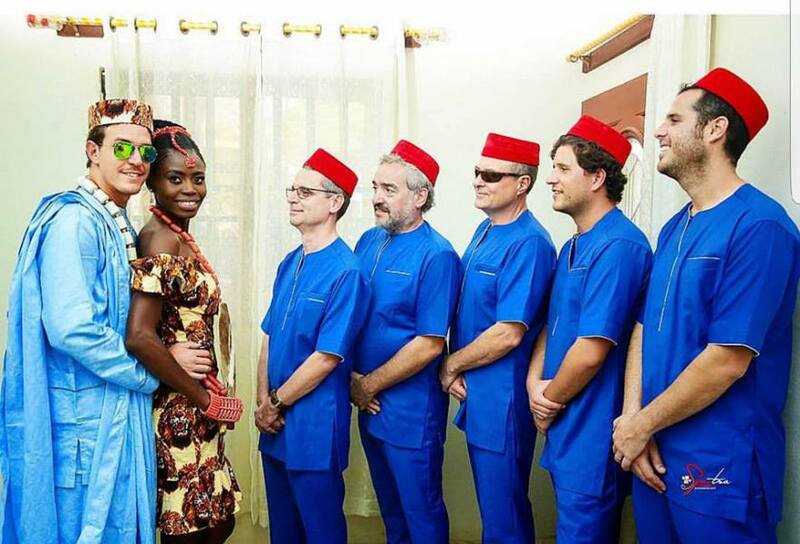 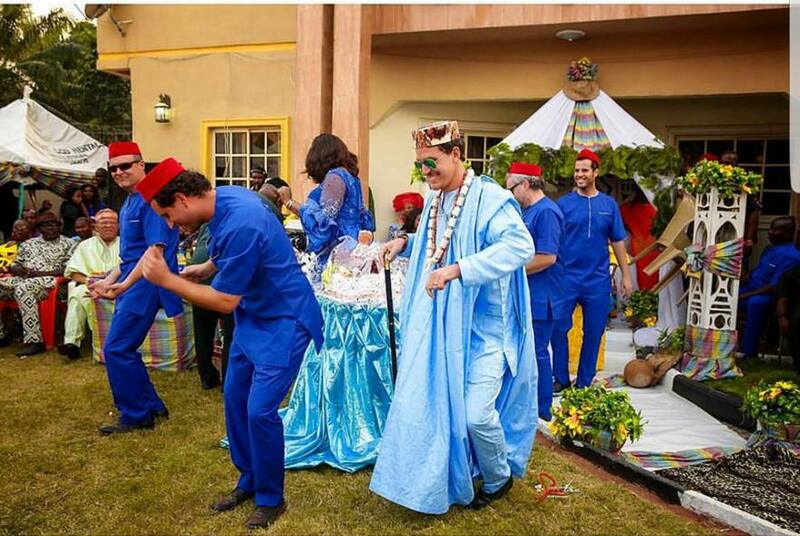 The white guy can be seen fully clad in his Igbo attire while his kinsmen follow suit but not in his own unique fashion. The gentleman is all smiles and dancy in his light blue traditional wear.